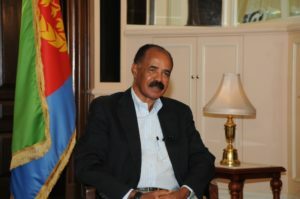 In 1991, there were prospects for peace and development for the peoplse of Eritrea, Ethiopia, and the region as a whole. But that was cut short by global and regional factors. The two peoples have learned a lot from the lost opportunities – the Ethiopian government’s declaration of its acceptance and readiness to implement the Boundary Commission’s ruling, which heralds a new era, demonstrates this. The question now is about the potential of the new era and how we handle it. The situation in Somalia or South Sudan can have a direct or indirect impact on us. Therefore, we need to support positive engagement in those cases and we should not see them as different, in any way, from our bilateral relations. If we look at the VAT – not in the sense of its fiscal meaning of value added tax but Value of Added Time – in this process, I would confidently say that the accomplishment made vis-à-vis the four months of the new epoch have been incredible indeed. Still, we will not relax based on what we have accomplished so far. In fact, we will increase the pace and further strengthen our efforts.